Coach Kaitlyn shares highlights from her parent/player scrimmages at Tarkington, Lee, Marquette, and Faraday! 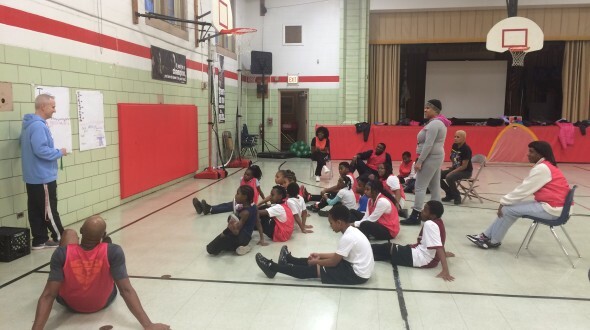 Central to Urban Initiative’s mission is the empowerment of Chicago’s youth. We strive for this by teaching our kids soccer skills and the power of teamwork; the value of academic achievement; and the importance of choosing healthy lifestyles. What oftentimes goes unnoticed though are the roles of the parents of our kids, and how they represent the core of our mission by being present in their lives each and every day. 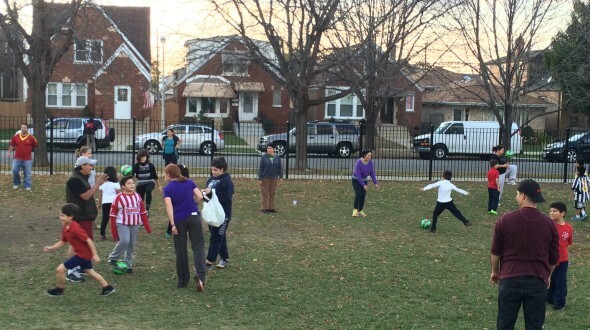 Over the course of the last couple of weeks, four Urban Initiatives Work to Play schools took advantage of this familial support by hosting Parent vs Player soccer scrimmages that resulted in a fun-filled bonding experience for our kids and their families. These games proved to be a great opportunity for parents to meet coaches and teammates, and to dust off some of their hidden athletic talents. It immediately became apparent where our kids get their skills from! 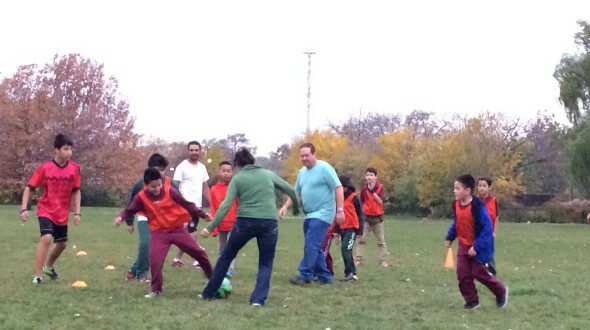 Things got a little competitive at Tarkington School of Excellence when Mr. Alvarez defended his son Alexis to prevent him from scoring his 4th goal of the night. Although this defensive move prevented Alexis from scoring, it came at the cost of his cleat tearing off the bottom of his shoe. This moment made for a good laugh between father and son. At Lee Elementary, the highlight of the night had to have been the intense battle of the Numbers Game. With the highest parent turn out rate of all the schools, each player had the opportunity to go one-on-one with a family member. 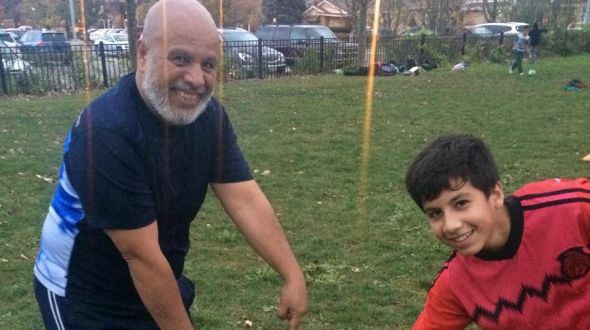 Isaac Ruiz showed off his Messi and Maradona moves he’d been practicing by getting passed and scoring on his dad multiple times! 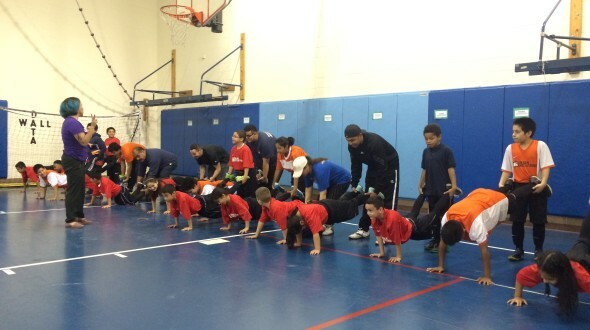 The partner warm-ups Coach G made the parents and players do at Marquette proved to be a great chance for our players to demonstrate their teamwork skills. 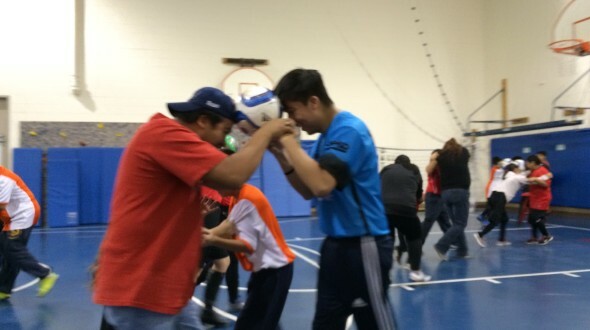 I noticed many of our players strategizing and motivating their parents as they had to get across the gym balancing a soccer ball between their heads without letting it drop. 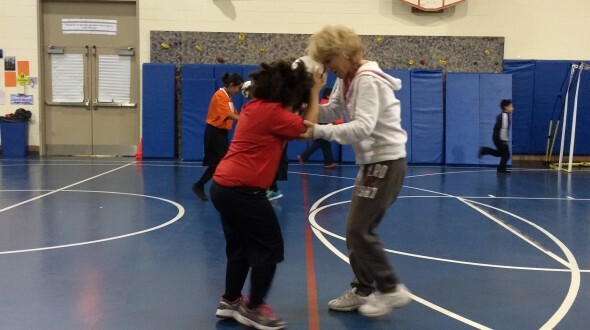 Lastly, family members at Faraday got to partake in Coach Grove’s half-time character lesson and discussion. 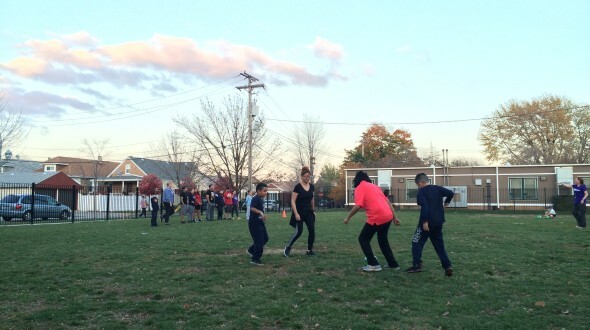 During this brief break of playing many of our WTP kids were able to share with their loved ones their definition of success and what lessons on healthy and active living they have learned so far this Fall season. In all, I couldn’t be more thankful to have shared these experiences and memories with my players and their families. 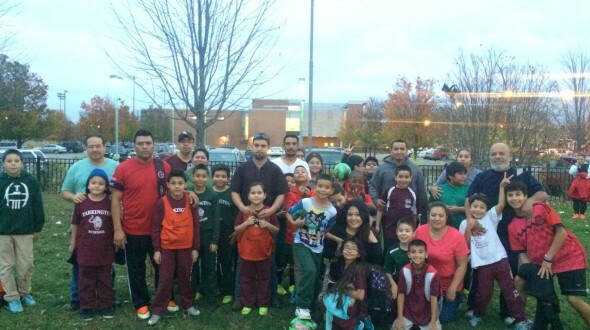 The love and support of our parents and guardians is fundamental to the success, health, and well-being of our kids. And this is proven every day by trusting us with your kids! So, thank you parents. Thank you for all the time, energy, and effort in takes in raising your children and helping them become the best versions of themselves. We couldn’t do this without you!